Oldest joke in the book. But you’ve gotta admit: even most of us who claim to be above a facile “Mars or Venus” sorting of the entire human race still privately do it. You’re a cat person or a dog person. An ally or a foe. A thinker or a doer. Some of these A-versus-B constructions are dumb cliches. You’re either, figuratively speaking, French or German. That is, you’re deeply superficial or superficially deep. Or you’re either a Prophet or a Wizard. That is, you believe our species’s only hope for survival is to play massive defense (though we’re probably doomed); or you believe that we can science our way out of this mess. Or you’re either a Hedgehog or a Fox – committed to one grand theory or grazing at the buffet of human knowledge. Or you’re either a Splitter or a Lumper — you look for distinctions or you look for commonalities. Let me add my own. You can decide whether it’s a dumb cliché or worth chewing on. People are other a story or an argument. 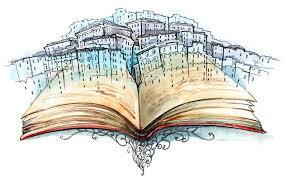 If you’re a story, you crave questions, mystery, competing possibilities. But if you’re an argument, you want resolution, answers, rhetorical victory. You treat 51 vs 49 like it’s 100 vs. 0. You fear grey. The novelist Irish Murdoch was in the same ballpark when she divided the world into philosophers vs. artists. One seeks to clarify the world and make it concrete, the other seeks to mystify the world and expand it. While I was working on my second book, U-Turn, the story vs. argument paradigm seemed to explain a lot of cases of midlife dissatisfaction. Story people found themselves caught in argument jobs — like lawyer, or economist. Or in argument religions (which is to say, any religion with a rigid dogma). Or in argument families. And they finally couldn’t take it any more. Argument people say, if it can’t be measured, it doesn’t count. Things that can’t easily be measured – like cultural influences, stories, ethics – are discounted by argument people, if not outright dismissed. Are scientists argument people? Some are. Maybe most. But occasionally one crosses the floor. For years Michael Shermer penned the “Skeptic” column for Scientific American magazine. His brief was to debunk paranormal claims. To expose as fraudulent all stories not backed up by physical proof. That all changed on June 25, 2014. His wedding day. A couple months earlier his new wife, Jennifer Graf, had shipped some belongings to Shermer’s house. One was a 1978 Philips 070 transistor radio that had belonged to her beloved grandfather, Walter, who was the lone male figure in her life and who died when she was sixteen. The radio didn’t work. Nothing they could do – from replacing the batteries to opening the thing up to see if there were any loose connections to solder – would bring it back from “decades of muteness.” They gave up and stored it in the back of a desk drawer in the bedroom. On the wedding day the couple returned from the courthouse with their marriage certificates to be feted by friends and family at the house. They said their vows and exchanged rings. Jennifer wished her grandfather were there to give her away. The next day the radio stopped working, and it never worked again. “What does this mean?” Shermer asked, in his column. “Had it happened to someone else I might suggest a chance electrical anomaly and the law of large numbers as an explanation—with billions of people having billions of experiences every day, there’s bound to be a handful of extremely unlikely events that stand out in their timing and meaning. In any case, such anecdotes do not constitute scientific evidence that the dead survive or that they can communicate with us via electronic equipment. “If we are to take seriously the scientific credo to keep an open mind and remain agnostic when the evidence is indecisive or the riddle unsolved, we should not shut the doors of perception when they may be opened to us to marvel in the mysterious,” Shermer concluded. On his wedding day, Michael Shermer became a story as well as as an argument.I don’t think he loses his cred as a skeptic by retelling this anecdote the way he does. I think he gains cred as a human being. In his recent book Cents and Sensibility: What Economists can learn from the Humanities, Morton Schapiro recounts his involvement with a team doing research for the World Bank back in the 1980s. One of the things they studied was the treatment in Africa of a deadly parasitic disease called onchocerciasis, or “river blindness.” The disease had been robbing millions of people of their eyesight up until the mid-1970s, That was when seven West African nations got together to fight it. They created the Onchocerciasis Control Program, overseen by the WHO. Hundreds of thousands of people were saved from blindness. But the program was almost scrapped. Why? Because the people who were being helped were so poor “that the benefit of saving their eyesight didn’t have much monetary impact.” So when economists involved deployed the only tool in their kid – a cost-benefit analysis” the results were inconclusive. “A traditional cost-benefit analysis could easily have led to the discontinuation of a project widely viewed as being among the most successful health interventions in African history,” Schapiro notes. Economics is a cold and actuarial and inhuman profession. Also, the neoclassical economics I studied is based on the faulty assumption that people will act rationally to “maximize their utility” — which we now know is patently untrue. But here’s why I really bailed on economics: It was an argument profession. It didn’t understand story. John Lanchester is a writer who, like me, started off in economics. While a part of him kind of admires the honesty of the money guys – the amoral code – they’re like mafia bosses – another part of him is done with it, for good. “The project of reducing behavior to laws and the project of attending to human beings in all their complexity and specifics are diametrically opposed.